At 600 meters deep Udachnaya plunges lower than, though not nearly as wide as, Mir. Discovered just days after Mir, the Udachnaya pipe is so remote that a small city, named after the project, was built up around the diamond mine to house workers. 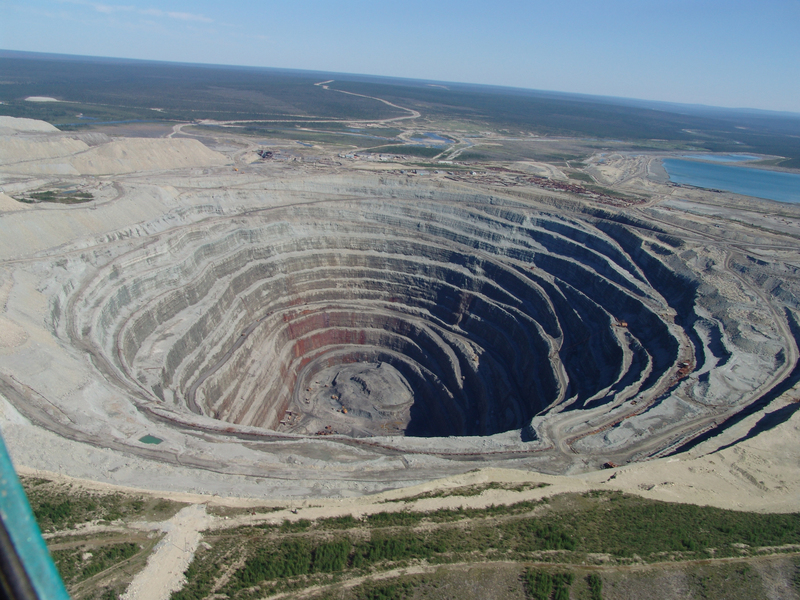 Since 2010 Alrosa has shifted its direction underground as open-pit mining was no longer cost effective.